Having trouble coming up with new ideas? 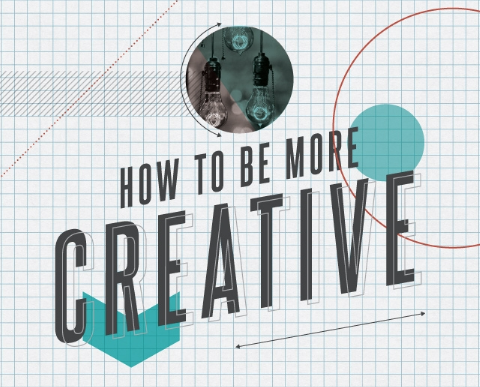 Feel out of touch with your creative self? Don’t worry – the creative process is not out of your reach. By following these five steps you can learn new ways of thinking and add some unstructured structure to the way you create new ideas. Step one in the creative process is to learn. You never know when inspiration might strike, so be curious about everything around you. Gather general as well as specific information on your topic, and learn about new topics as well. Read widely, and you’ll begin to feel your mind expanding. As you begin taking in new information, it’s important that you also digest it. Think about what you’re learning, and decide where they compare and where they contrast. You’ll soon be able to link various seemingly unrelated topics! They say a watched pot never boils. Well, an idea that is constantly sought after never appears, either. Let your subconscious ponder while you think about other things. Stop brainstorming ways to solve the problem at hand. Instead, partake in other activities that stimulate creativity, like running, reading a book or listening to music. Keep a notebook handy, because your eureka moment will come when you least expect it. You could be in the middle of a bike ride, grabbing drinks with friends or watching Game of Thrones when your idea strikes. You better be ready to act on it! Now comes the fun part: submit your idea for criticism. Bounce your idea off others’ minds and you’ll end up with a more well-rounded, robust action plan, a viable solution. The reverse brainstorm is another helpful creative technique. Following this method, instead of pondering solutions to your problem you will identify ways of causing it; this can help you solve the problem in new ways!